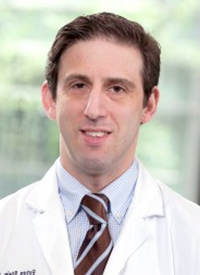 The last few years have brought an explosion of new treatment options in the acute myeloid leukemia (AML) landscape, said Eytan M. Stein, MD, along with the need to molecularly monitor these patients and determine how to best sequence these agents. In the newly diagnosed setting, the FLT3 inhibitor midostaurin (Rydapt) is being used in combination with induction chemotherapy in patients who are well enough to undergo chemotherapy. For those who are not fit enough, physicians are combining hypomethylating agents (HMAs) or low-dose cytarabine with venetoclax (Venclexta). In November 2018, the FDA granted an accelerated approval to venetoclax for use in combination with azacitidine or decitabine or low-dose cytarabine in the treatment of newly diagnosed patients with AML who are aged 75 years or older or have comorbidities that make them unfit for induction chemotherapy. The approval was based on positive data from 2 early phase trials: M14-358 and M14-387. In the M14-358 trial, combining venetoclax with azacitidine was found to result in a complete remission (CR) rate of 37% and a CR with partial hematological recovery (CRh) rate of 24%. The CR rate with the combination of venetoclax and decitabine was 54%, whereas the CRh rate was 7.7% with the combination. Further, results from the M14-387 trial showed CR and CRh rates of 21% in patients who received venetoclax with low-dose cytarabine. “That’s really a paradigm shift in how we treat AML both in the fit and unfit populations,” said Stein, who is an assistant attending physician on the Leukemia Service at Memorial Sloan Kettering Cancer Center in New York, New York. Several new agents have also received FDA approval for use in the relapsed/refractory setting, including the IDH1 inhibitor ivosidenib (Tibsovo), the IDH2 inhibitor enasidenib (Idhifa) for patients with IDH1/2-mutated disease, and the FLT3 inhibitor gilteritinib (Xospata) for those with FLT3-mutated disease. Stein is hopeful that oncologists will soon be able to add another FLT3 inhibitor, quizartinib, to their treatment armamentarium. In an interview with OncLive®, Stein sheds light on the current treatment landscape of AML, underscores the importance of molecular monitoring, and highlights where the field is headed. OncLive®: What are some recent advances that have been made in the treatment of patients with AML? Stein: Our treatment options, up until very recently, were really quite limited. Patients could either receive induction chemotherapy with daunorubicin and cytarabine or get HMAs—that’s in the newly diagnosed setting. What has happened over the past few years is that there has been an explosion of new treatments for [patients with] AML. [Specifically], in the newly diagnosed setting, we now combine the FLT3 inhibitor midostaurin with induction chemotherapy; that’s obviously for patients who are well enough to receive induction chemotherapy. For patients who are not well enough to get induction chemotherapy, we’re now combining HMAs or low-dose cytarabine with the BCL-2 inhibitor venetoclax. There is also the combination of a drug called glasdegib (Daurismo), which is a hedgehog inhibitor, with low-dose cytarabine. In addition, the liposomal formulation of daunorubicin and cytarabine, called CPX-351, was FDA approved for patients with therapy-related AML and AML with myelodysplasia-related changes. As opposed to 2 or 3 years ago, when our treatment options were limited, it is now actually quite complicated to treat patients with newly diagnosed AML [because there are so many options to navigate].